My Health Record is a secure online summary of your key health information. More than one in five Australians already have one. Over time, My Health Record will bring together information such as medical conditions, medicines, allergies and test results in one place. Healthcare providers such as doctors, specialists and hospital staff can see these details online from anywhere at any time when they need to, such as in an accident or emergency. Even if you move or travel interstate, the information can be viewed securely online, anywhere, any time. If you want, you can access your health information from any computer with an internet connection. You control who can see it. Once it is set up you do not need to do anything. In a medical emergency, healthcare providers connected to the My Health Record system can see your health information to provide you the best care quickly. If you want, you can list any allergies, adverse reactions and medical conditions you may have to help healthcare providers give you better advice and treatment. You will not need to worry about having to remember and repeat your health history like medicines, details of chronic conditions, and dates of recent tests with different or new healthcare providers. If you choose to, you can control who sees what information in your My Health Record. There are strict rules and regulations on who can see or use your My Health Record to protect your health information from misuse or loss. 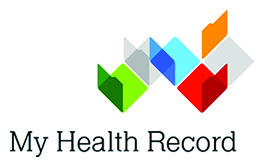 To learn more about My Health Record, or about how to inform the government you do not want a My Health Record, visit www.myhealthrecord.gov.au There will be a three-month period from July 16 to October 15 when you can inform the government of your choice to opt out of the My Health Record system.